Guess what. To do something well, you have to like it. In fact, it might even help if you LOVE it. If you are a business owner, service provider, or solo-prenuer, or maybe even just thinking about starting your own business, let me ask, do you love what you do? It’s crucial that you enjoy, and yes – even LOVE, what you’re doing if you want your business to succeed. Doubt me? Entrepreneur.com reports that if you don’t enjoy what you’re doing, in all likelihood that will be reflected in the success of your business–or subsequent lack of success. In fact, if you don’t enjoy what you’re doing, chances are you won’t succeed. I’ve been walking this road for a number of years and understand what it takes to build a business that has purpose, that is fulfilling, and yes, that pays the bills. We all want that don’t we? The opportunity to create a livelihood doing something that we love? The opportunity to work for ourselves? If you are running (or preparing to run) a small business, there’s one thing you need to know straight out of the gate – you HAVE to be completely dedicated to your business, day and night, regardless of the circumstances. You have to be thinking about it, working at it, looking for opportunities, and be responsible for it, nonstop. That’s why it’s important to make sure that you love what you’re doing, and to feel motivated to push through to the next level. Building – and sustaining – a small business takes a lot of work, and while it can provide a comfortable income, the responsibility of that business, the planning, the hoping, and the dreaming will be on your mind, if not all, then definitely most of the time. So, if your business is ultimately something that you are going to be focused on full time, shouldn’t it be exciting? There is one question that you can ask yourself that will determine if your business is a good fit – would you do it for free? Now let me say right now that there is no way any of you should work for free – EVER. 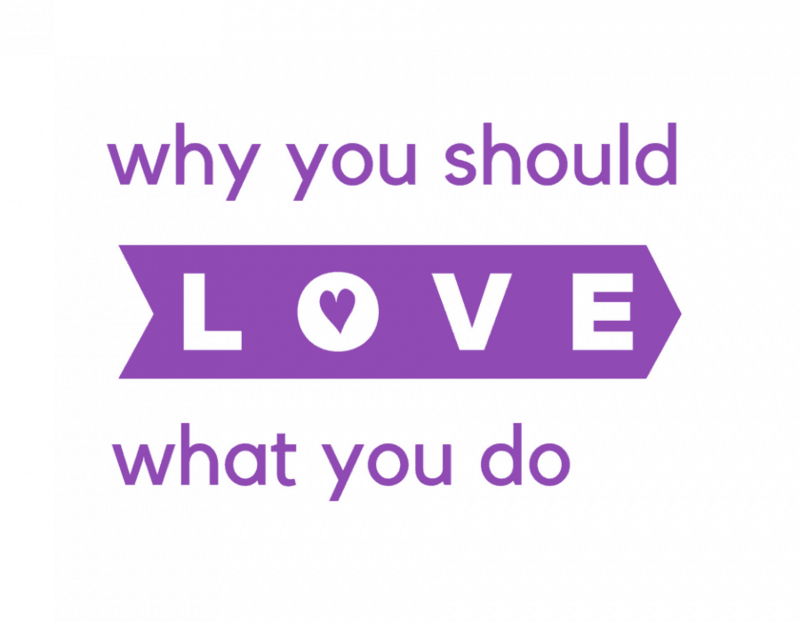 The question really boils down to, do you love it so much that you often think, “I can’t believe I’m getting paid for this?” Are you so passionate about what it represents that you have honed your skills, for little or nothing? Have you practiced with purpose? I love what I do. Period. And each and every client that I help reach their marketing objectives provides one of those, “I can’t believe I get paid to do this” moments. And each and every client I help learn how to market their own business provides the same rush when they “get it” and are on their way. 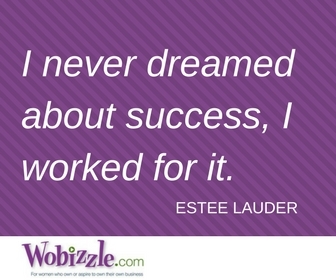 Mother Teresa said that, “Work without love is slavery.” You want your business to succeed, right? So, this week, before you do one more thing related to your business, take some time to determine if you really, truly, love what you do, and grow from there. Payroll Outsourcing: Does It Make Sense For Your Business? Hiring employees can help your business grow, but it also makes your job more complicated. Take payroll for example. It’s a headache that recurs before every payday. Payroll outsourcing may relieve some of that pain. Processing payroll internally takes time and resources. Also, it’s easy to make mistakes. Statistics from the Internal Revenue Service show that approximately 40% of small businesses incur penalties for failure to comply with payroll requirements. Total fines paid by businesses are in the billions of dollars. That’s money that could be better spent. Payroll outsourcing can keep you on the right side of compliance. And, it’s really not that expensive when you consider the time and worry it can save you. 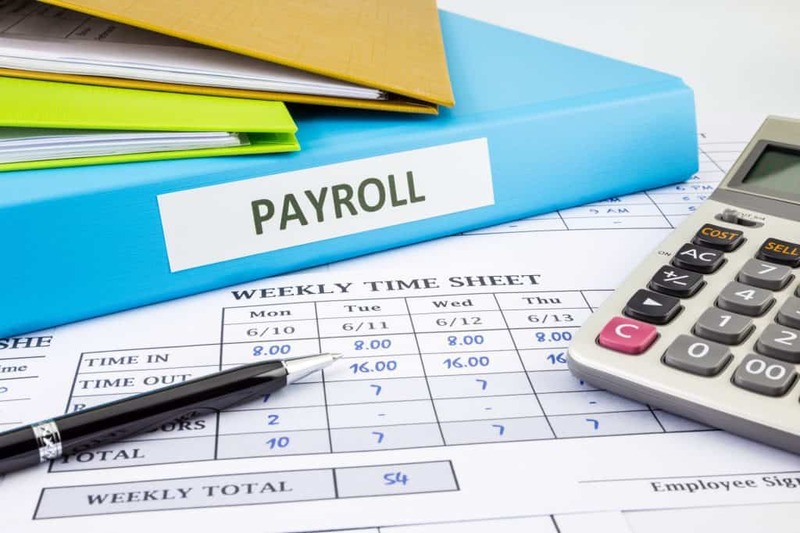 In general, payroll companies take care of payroll administration for their clients. 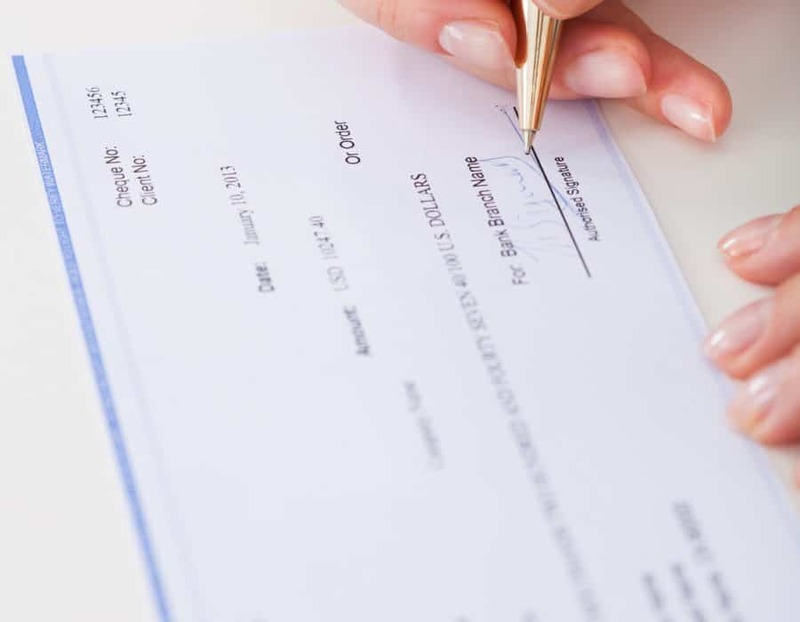 If you’ve been doing it yourself, you know it is a much bigger job than just issuing checks. A payroll company handles all of the details to get employees paid. This typically includes check processing, direct deposit, W-2 and 1099 processing. They may also help manage employee benefits and other HR functions. But, where a business may find the most value in outsourcing payroll is in tax administration services. Tax administration is an important part of the payroll process that many small business owners find difficult to manage on their own. There are monthly, quarterly and annual deadlines for payment and reporting. Keeping track of those while you are trying to run a business can be overwhelming. Also, regulations change on a frequent basis. It all makes a great case for payroll outsourcing. Pricing varies depending on the size of your business and the services that you need. It’s common for services to charge a flat monthly fee plus a per employee fee. Entrepreneur.com reports that basic payroll service pricing ranges from $.80 to $2.00 per check plus a base fee. Many companies will provide a free quote customized to your business’ needs. So, is payroll outsourcing a good solution for your business? If you need to focus on other areas of your business, payroll outsourcing seems like an inexpensive option. Very few people go into business for the fun of payroll administration. By outsourcing payroll to a trusted provider, you can get back the precious resource of time. That allows you to put your energy into the areas of your business that need your attention. It also grants you peace of mind that your payroll administration is being done right. There are countless ways to reach new customers and grow your business. From traditional advertising to social media outreach, the options get more abundant each day. But perhaps the most powerful marketing tool to grow your business is the same one that generations of business owners have used – relationships with existing customers. Existing customers have always been the best marketers for small businesses. Their role is often referred to as “word of mouth” advertising. With the advancement of technology and growth of social media, the relationship you have with your current customers is more significant than ever before. They have become an even more powerful marketing tool for your business. Think about it. When a customer visits your place of business and they have a good experience, what do they do? They reach for their phone to tell their friends and family about it. If they have a poor experience, you know what happens? They reach for their phones even faster. Try to learn the names of repeat customers. Remember their names and use their names to greet them when they return to your business. This simple act can make your returning customers feel welcomed and create a more personalized customer experience. Another easy way to keep existing customers happy is through exclusive deals, discounts and giveaways. One of my favorite customer loyalty programs is through a locally-owned natural foods store that I frequent. I have a loyalty card in my wallet and every time I check out, the person at the register scans the card. For every dollar I spend, I collect loyalty points. When I’ve collected 300 points, I get five dollars off my purchase, on the spot. I love it when that happens! Meet Their Expectations – Every Time. Regular customers are regular customers because you have trained them to expect certain things when they show up at your business. It may be the quality of your product or service. Perhaps, it is the perceived value. Or, it may be the fun and welcoming atmosphere of your store, the friendliness of your staff, or your wide selection of products. Whatever it is, deliver on those expectations each and every time they visit. If you don’t know why they keep coming back, just ask. Feedback from regular customers can help you continue to meet their needs and the needs of future customers. Taking care of your existing customers will keep them coming back for more. If they really love your business, they’re going to refer more customers your way through positive online reviews and word of mouth referrals. Both are powerful marketing tools. According to Vendasta.com, 88% of consumers trust online reviews as much as personal recommendations. Though customer reviews often come unsolicited, it’s ok to ask for help. Let your loyal customers know that you are trying to grow your business and ask if they’ll help you reach new customers by posting an online review, providing a testimonial, or telling their friends. Most will be more than happy to lend a hand. We can be our own worst enemy, and when building a business many of us can fall victim to perfection paralysis. The Urban Dictionary defines perfection paralysis as, “The inability to start on a project, assignment, essay or any creative task due to the fear of not getting it perfectly right.” Sure, we want to wait until our idea is “perfect” to share it with the world, but that is not sustainable, especially if you intend to make a living. Nothing in life, and definitely nothing in business, is ever perfect. In fact, when you continue to rework and re-do, you often move right past the perfect spot and miss the magic. Perfection paralysis is a widespread problem, and not limited to me, you, and three other random creatives. In fact, even Mel Robbins has written that she fell into perfection paralysis when writing The 5 Second Rule. While the process was perfect in her mind, there were days that the words wouldn’t come, and it wasn’t all rainbows and sunshine. “Good enough” has been an important lesson in my 20+ years as a freelancer, and by embracing it, I was able to beyond hobbyist status, and actually make a living. And moving beyond perfectionism isn’t just good for your productivity, it’s also good for your health. As Health.com reports, people who have perfectionist tendencies are sometimes more than just detail-oriented high achievers. They are often racked with anxiety, depression and fear. 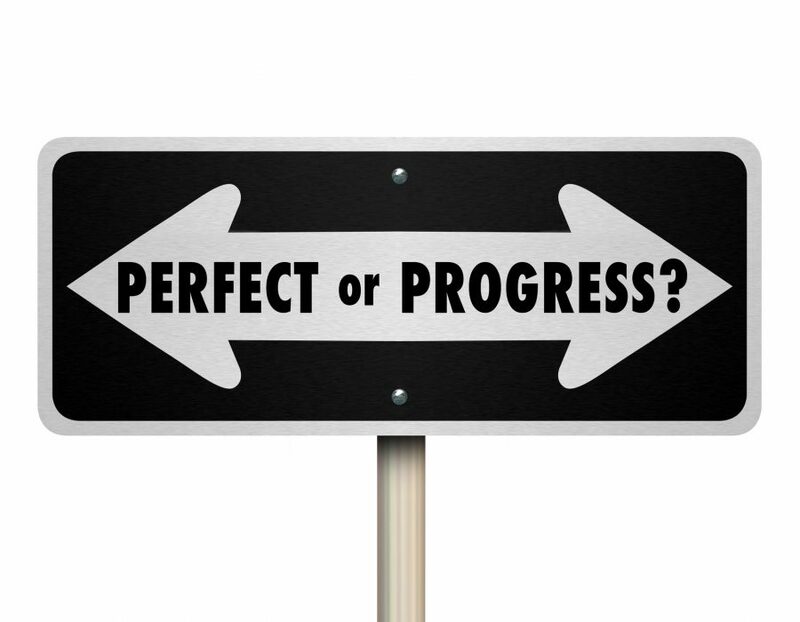 So, the question is, how do you move from perfection paralysis to good enough? 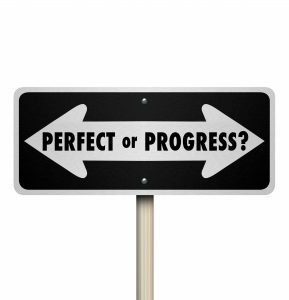 Perfectionism paralysis is defined by the inability to start, or sometimes to keep going. To combat that, you need to make a list, set goals, and get busy. If you have to have XYZ done by next Tuesday, you have your marching orders. If XYZ doesn’t have a deadline, make one and stick to it. Make sure your goals are realistic, while at the same time, moving you forward. It’s also okay to make mistakes. I know I do. I recently shared a workshop script with a client that I hadn’t done a final edit on, and told her there was a prize for the first typo she found. Remember, nothing is perfect, it’s just important that it be good enough. Ideally, hiring employees should allow you to focus your time and talent on the areas of your business that require your attention. Unfortunately, it doesn’t always work out that way. Small business owners often find themselves spending more time (and money) training, solving problems or correcting employee mistakes than when they were operating as a one-woman shop. The process of hiring employees may sometimes seem like a gamble. But there are some steps you can take to tip the odds in your favor. Employees will bring the most value to your business when they have clear direction on what their jobs are. You may know you need help, but take some time to think about exactly what kind of help you need. Create a formal job description for the position. It’s okay if it includes the line “Other tasks as assigned by…” Your employee needs to know what your expectations are. If he/she has a list of ongoing responsibilities, it will save you the time and frustration of constantly having to tell him/her what needs done. 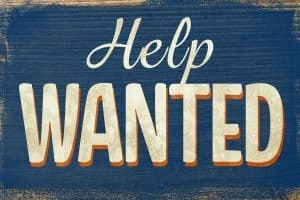 If you’re not sure you need a permanent part-time or full-time person, you might consider using a personnel services agency to hire a temporary worker for times when you need some extra help. The benefits of hiring a temp are that the agency has already screened the worker for you and the agency handles the wages and benefits for the employee. You simply pay the agency for the service provided. But don’t assume that “temp” equals cheap. There is a cost for this convenience. If you really do need someone on a more permanent basis, trying to bridge the gap with temps may end up being more expensive than hiring employees on your own. When you post a job opening, you will likely be inundated with applications. Some will be qualified for the position. Many will not be. Others may be overqualified and be at risk for jumping ship the moment a better offer comes their way. Sifting through a mountain of resumes can be overwhelming, and setting up a parade of interviews is time consuming. 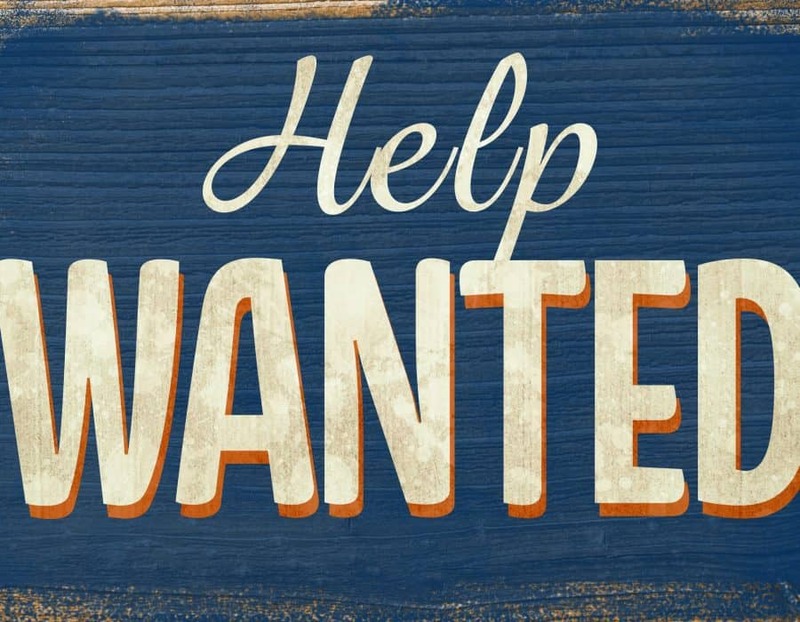 You need to bring only the best people in to be interviewed—preferably the top three applicants with the qualifications that you need to fill the job. To whittle down your options, set some guidelines on the front end of the process to help you decide which candidates will make the cut. Only pull resumes of applicants that meet those standards that you have established. At this point, your main focus is filling the position, but you should be looking toward the future as well. While interviewing, try to pick up on cues that would indicate what type of employee the applicant would be. Does she seem to be just interested in a job, or does it appear that she is motivated by a challenge? Does the candidate seem to have a particular interest in what your business does? Ask the right questions and be careful to not ask the wrong ones. Avoid asking applicants illegal or inappropriate questions during the interview. If your schedule and responsibilities don’t allow for you to take the time you should to hire the best person for the position, you might consider contracting an HR consultant to help. Many solo HR consultants are willing to take on the task of hiring employees, and can even help you onboard and train your new employees.